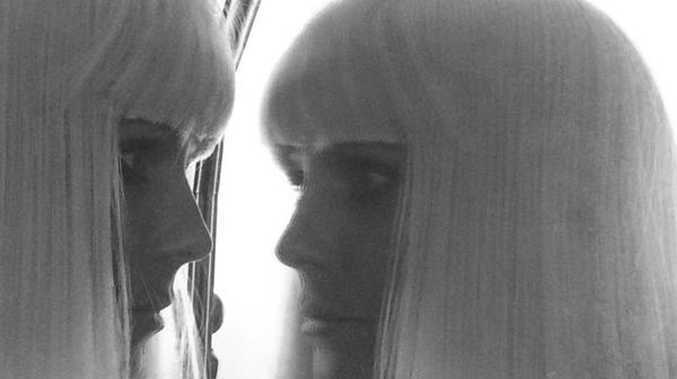 HEIDI Klum is expected to star in Sia's next music video. The 41-year-old model has hinted on Twitter that she's shooting scenes for the 'Chandelier' singer's next release, posting a picture of herself wearing Sia's trademark blonde bob wig, while staring in a mirror. Along with the picture, the 'Project Runway' star tweeted: "Can you guess for who I am shooting a new music video?" She also shared another picture of herself on set with former 'Game of Thrones' actor Pedro Pascal and photographer Francesco Carrozzini, with the caption: "Behind the scenes with Pedro Pascal and Francesco Carrozzini"
This isn't the first time that Sia, who is known for disguising her face at events with the wig, even when performing live, has hired a celebrity to take her place in a music video. Her last single, 'Elastic Heart', featured actor Shia LaBeouf. The 39-year-old singer previously explained that she doesn't like being famous and is eager to protect her image. She said: "People say, 'Enough of this s**t where she doesn't show her face'...I'm trying to do this differently, for serenity. And it's a fun game for me as well. I have nothing to lose. But of course I want to be loved. So when people say, 'Show your face, you're not ugly.' I want to say, 'I know. I'm not doing it because I think I'm ugly; I'm trying to have some control over my image. And I'm allowed to maintain some modicum of privacy. But also I would like not to be picked apart or for people to observe when I put on ten pounds or take off ten pounds or I have a hair extension out of place or my fake tan is botched. Most people don't have to be under that pressure, and I'd like to be one of them."